When Grandpa Was a Boy, Were There Any Dinosaurs? 1936: Letters from Iceland introduced tourists to some of the more curious items of the island’s cuisine. Hákarl, “half-dry, half-rotten shark”, had a flavour, W.H. Auden reported, “more like boot-polish than anything else I can think of.” Dried fish, Iceland’s staple food, came in varying degrees of toughness, he wrote. The tougher kind tasted like toenails, the softer kind like “the skin off the soles of one’s feet”. Sheep’s udders pickled in sour milk, however, were “surprisingly very nice”. 1935: Instead of allowing incurable breast cancer run its deadly course, the American writer and social reformer Charlotte Perkins Gilman inhaled chloroform to bring her life to a close. There were doubts about the authenticity of the letter, but no doubts about Barrow’s enthusiasm for Fords. 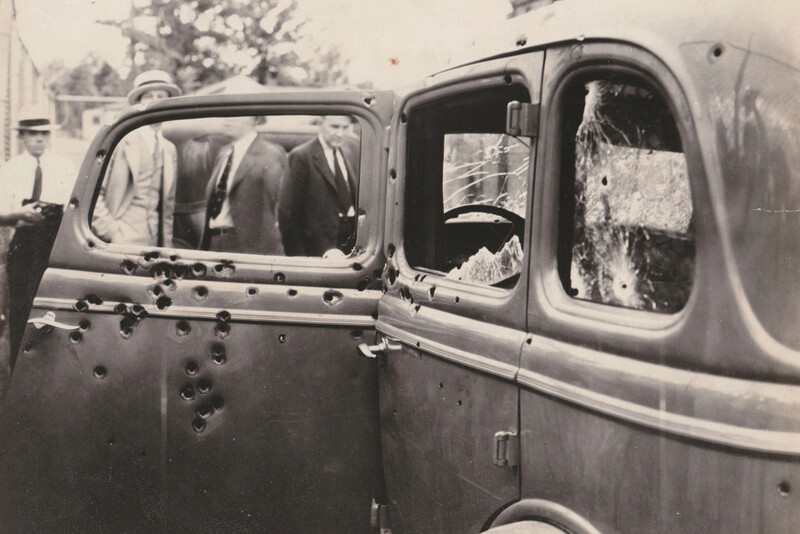 It was in a V8, just over a month later, that he and Bonnie Parker were ambushed and killed near the Louisiana town of Gibsland. 1933: The chemist Robert Chesebrough, who lived to the age of 96, attributed his longevity to a daily habit of eating a spoonful of his most famous invention – Vaseline. 1931: There was much aristocratic tittle-tattle about William “Boom” Lygon, the 7th Earl Beauchamp: his weakness for handsome young menservants; the affection he displayed towards his butler; the parties he organised at Walmer Castle for local lads and fishermen. When Beauchamp’s brother-in-law heard the rumours, he was determined to ruin the earl. Hugh “Bendor” Grosvenor, the 2nd Duke of Westminster, was a vindictive and homophobic individual. He was instrumental in the separation of Beauchamp from his wife, the instigation of divorce proceedings and Beauchamp’s hasty departure for the Continent. 1928: The writer Thomas Hardy died on 11 January. His heart was removed from his corpse, which was then cremated and the ashes interred at Poets’ Corner in Westminster Abbey. The heart was buried in the grave of Hardy’s first wife, Emma, in the Dorset village of Stinsford. Or was it? Rumour had it that the doctor’s cat made off with the heart while it was unattended, though this sounds suspiciously like a tale invented over a few pints of cider in a Dorset pub. 1927: Brian Howard, a leading light among the Bright Young People, was appalled but fascinated to see a man snorting cocaine in a Berlin café. Howard had never seen a drug addict before, and thought at first that the man was performing “deep breathing exercises”. 1926: Berthold Laufer’s monographs appealed to a minority readership: Ostrich Egg-Shell Cups of Mesopotamia and the Ostrich in Ancient and Modern Times, published in 1926, was followed the next year by Insect-Musicians and Cricket Champions of China. 1925: One night in July, feeling that he had reached “the end of the tether”, schoolteacher and struggling writer Evelyn Waugh made a half-hearted attempt to kill himself. He went to a deserted beach, undressed and swam slowly out to sea, but turned back when he was stung by jellyfish. 1924: In July, Pablo Picasso and his family rented a villa at Juan-les-Pins, on the Riviera. Picasso turned the villa’s empty garage into a studio and decorated its bare walls with murals. The owner was not appreciative, and Picasso had to fork out 800 francs to restore the walls to their original state. 1922: James Joyce’s long-time companion and future wife, Nora Barnacle, read only 27 pages of Ulysses, and that, as Joyce dryly observed, included the cover. 1921: Staying at a hotel above the Swiss town of Montreux, Katherine Mansfield kept on her bed at night “a copy of Shakespeare, a copy of Chaucer, an automatic pistol & a black muslin fan”. 1919: For the children of Stromness, in the Orkneys, conditions on 21 June were ideal for their school outing – a warm, windless day, a clear sky, a gentle swell on the sea. 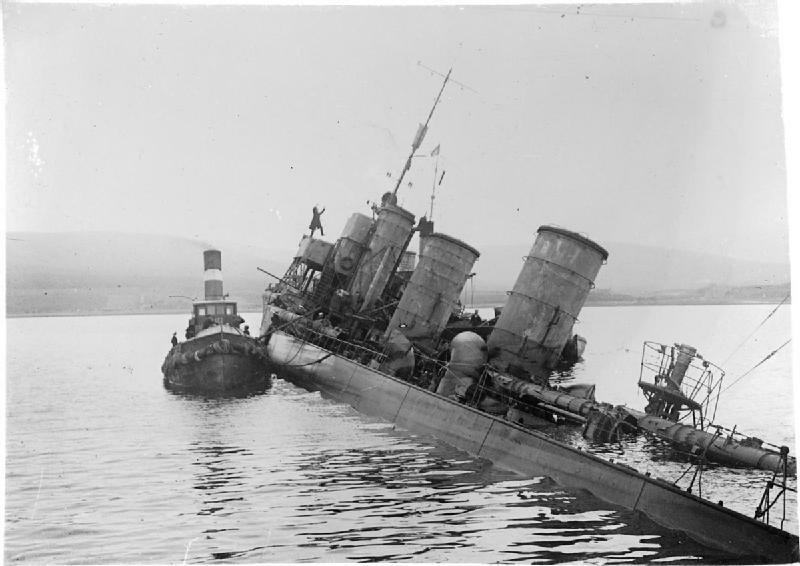 Once the children had embarked on the Flying Kestrel, the Admiralty tender cast off and steamed out into Scapa Flow, past the long lines of German warships interned there since the armistice. “We came face to face with the German Fleet, some of them huge battleships that made our own vessel look ridiculous,” recalled James Taylor, one of the schoolchildren. He was 15 years old; 20 years later he wrote a vivid account of what happened next. 1917: George V’s decision to change the royal family’s name from the distinctly un-British Saxe-Coburg Gotha to Windsor raised a chuckle in Germany, where Kaiser Wilhelm II announced he was going to the theatre to watch The Merry Wives of Saxe-Coburg-Gotha. 1916: Threatened by a severe water shortage, San Diego resorted to a rainmaker to fill its reservoirs. Charles Hatfield promised that for $10,000 he would fill the city’s Morena dam; if no rain fell, he wouldn’t get a cent. Hatfield began work on New Year’s Day. Four days later, it began to rain – gently at first, and then heavier, and then in torrents. Too little rain became too much. Rivers broke their banks, bridges collapsed, roads and railway lines were cut, houses floated away. When Hatfield demanded his $10,000, the city council refused to pay up and blamed him for the widespread damage. Hatfield filed a suit against the city, but never got his money. 1914: Lieutenant Erwin Rommel, in action for the first time, noticed the August sun glinting on the metal cooking pots on top of the tall packs of the French infantry as they tramped through fields of not-yet-harvested grain to where he waited in ambush. 1911: D.H. Lawrence’s first novel, The White Peacock, was published at the beginning of the year. Lawrence showed it to his parents, hoping they would approve. His father, a coalminer, “struggled through half a page, and it might as well have been Hottentot.